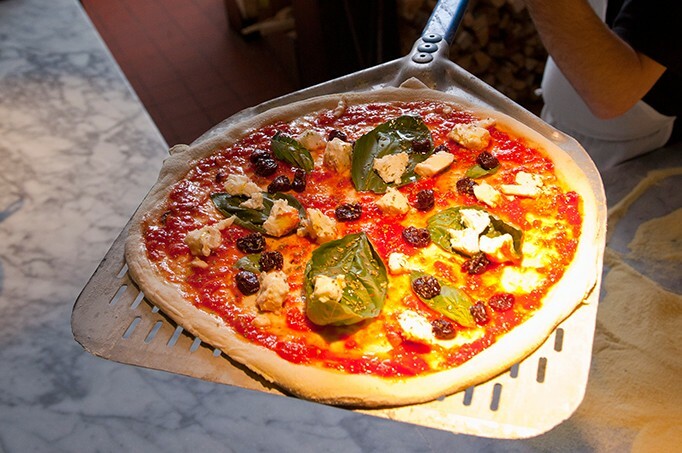 Pizzeria Verità is known for its Neapolitan-style wood-fired pizza. The restaurant is nominated annually in Seven Days readers' choice awards, and is No. 1 on TripAdvisor (up from No. 2 last week) for Burlington-area pies. (See my story about learning tricks of the dough here.) This means that sometimes you can't get a table at the restaurant. Use a dough recipe with a long fermentation process; this gives the crust more structure and airiness. Source the freshest, highest-quality ingredients for topping. Never underestimate a great cheese. Get your oven as hot as possible, and finish with the broiler to cook the top. Keep it simple; don't over-top the pizza. The key is to have flavors that complement, rather than overwhelm, each other. Of course, Wells also has a sixth suggestion: "When all else fails, come to Pizzeria Verità!" What tricks do you have for making pizza at home?